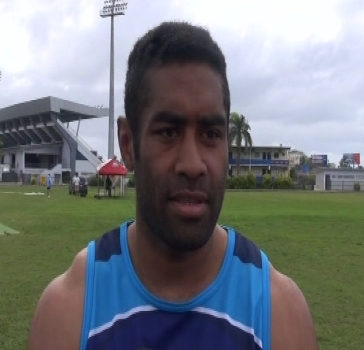 Vodafone Flying Fijian wing Asaeli Tikoirotuma is raring to play against Tonga in the Pacific Nations Cup opener this Saturday. Tikoirotuma has been named in place of injured Nemani Nadolo to take on the Tongans. With Nadolo and Captain Akapusi Qera out injured, Tikoirotuma says other players are ready to take on the challenge. Tikoirotuma is one of eight changes coach John McKee has made for this week’s match. Fiji takes on Tonga at 3pm at the ANZ Stadium in Suva and you can catch the live commentary of the match on BULA FM with the voice of rugby, Graham Eden.